I can adjust my thermostat from the app on my phone - which is nice, but the real advantage is being able to build the schedule without having to wade through the menus on the limited physical interface of the thermostat itself. "Amazon Echo can now control your Honeywell Total Connect Comfort Thermostat. Use Alexa, the voice service that powers Amazon Echo, to set the perfect temperature in your home by voice command. Simply say "Alexa, set my temperature to 72 degrees" and enjoy your home's comfort without having to lift a finger." Also, you can get a cheap refurbished Amazon Echo today from Woot. Honeywell sent me an e-mail announcing their new doorbells. You can make a custom "ring tone" or define a silent period (so the deliveryman doesn't wake the baby, for example). It doesn't mention it, but surely the pressing the doorbell will eventually ring your phone. Of course, it needs to integrate with your IoT lock and camera system. 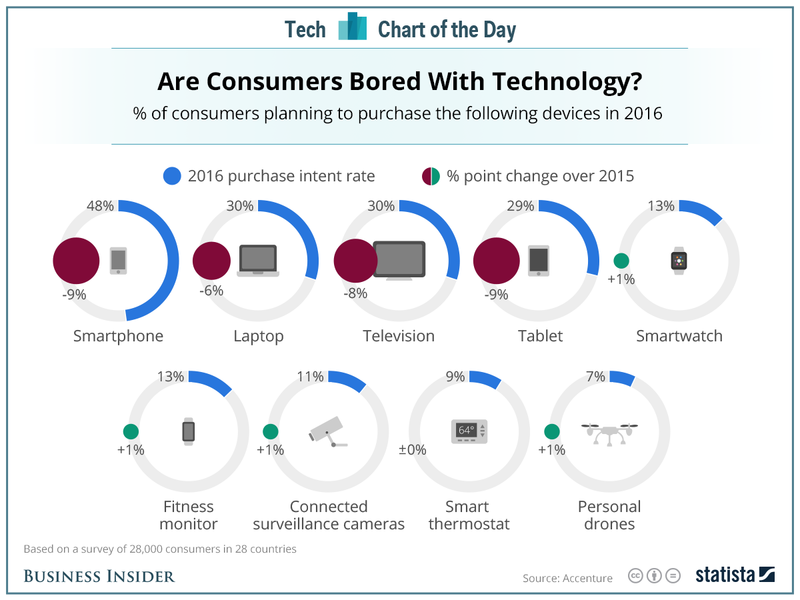 People are getting tried of keeping up with all the changes or maybe most things are good enough. In the last year, I went from an old 42 inch HDTV LCD to a new, thin Vizio 55-Inch 4K Ultra HD Smart TV. I upgraded to an iPhone 6. I've had an old iPad Mini for years that I rarely use. I don't have a smart watch. I've had my Honeywell Wi-Fi thermostats for a while. I'm not really interested in a drone. I might upgrade my Garmin GPS running watch or add a fitness band. I geek out over the data, so I'd like to have the heart rate and sleep information that something like the Garmin Vivosmart HR would provide. When I turned the dial to increase the heat to 66 degrees, rather than responding by making the house warmer, or by informing me that it is now working toward this, it read, "in 1 hour and 20 minutes 66 degrees until 10:00PM.” The next day the house temperature plummeted to a punishing 50 degrees (I realize I may be spoiled) for no reason I was privy to. Here, by the way, is another usability heuristic not heeded: visibility of system status." That article makes me happier with my Honeywell Wi-Fi thermostats. They are very easy to control. It's not flashy, but they just seem to work. I've had one for a long time now and the second one for about a month. Defining a schedule is fairly straightforward, but the temporary overrides are trivial to make. 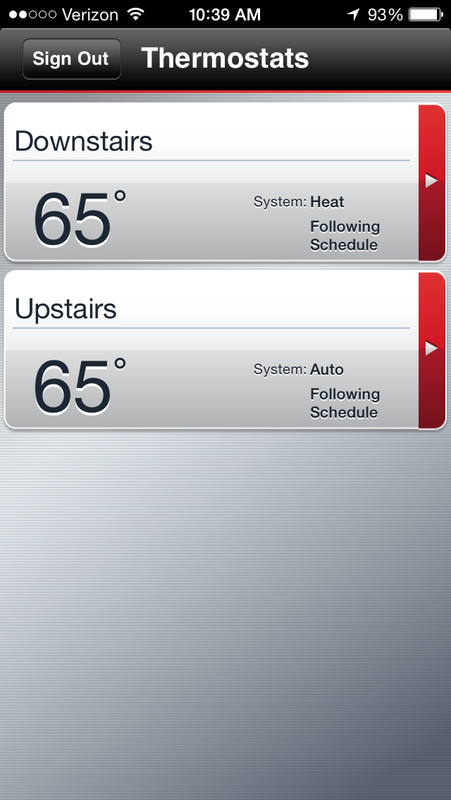 It has controls at the thermostat or you can make changes via the web or the app. I posted back in October about the Nest Thermostat. I thought it looked to be a cool device. Given that Honeywell is suing Nest, it must be good. Nest responds and says they will fight the good fight.